Natural cream deodorant that really works – the recipe! Yesterday, I introduced the Zinc Oxide and its action in 100% natural cream deodorant. And here is the recipe! I hope you will enjoy it as much as me and my hubby – we have been using it every day since I made my very first batch, which means already for more than 3 months! 1) Do not alter the zinc oxide – it is the active ingredient! – and although you can play with the quantity – the percentage I add works for me. I guess more will make it difficult to incorporate in the cream and less will make it probably inefficient. 2) If you change the emulsifier, please change its percentage so that it DOES NOT produce a thick cream. The cream without zinc oxide should be rather thin (but not liquidy), so that the zinc oxide can be incorporated. If the cream is too thick, adding zinc oxide will resolve in too thick and powdery structure, difficult to use comfortably. 4) For the same reason, the coconut oil should NOT be substituted for a more thick butter like shea butter, murumuru, illipe, cocoa butter….etc. 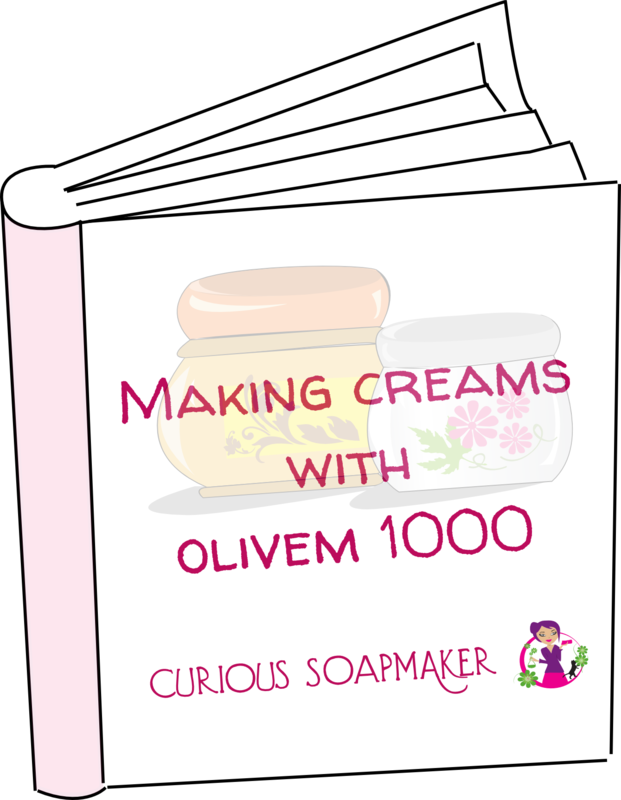 A liquid oil as a substitute is OK.
6 % 0.1 3 Emulsifier Olivem 1000 or emulsifying wax – but this one I did not try – however – I believe it should work well. Important is not to get very thick cream – see aloe vera juice comment above. Tip: Try to reuse the containers from the old creams you have at home. Do not forget to wash and disinfect them! 0) Sterilize all tools – either 15 minutes in boiling water, or 5 minutes in water with chlorine tablets (those used for the disinfection of baby bottles), or in 70% alcohol. Dry everything with clean towel – no need for alcohol treatment, which evaporates. If you use boiling water – attention to heat, this works only for heatproof containers/tools. 1) Put a mask – zinc oxide is a very fine powder, and you want to prevent breathing it! 2) Heat the aloe vera juice to 70°C (~ 158 °F) – preferably in a double boiler, not direct heat, just to be sure you won’t overheat. You can add zinc oxide directly in it and heat together. This is better than adding it at the end of recipe, as it might be tricky to dissolve it in the cream. However, I found that some emulsifiers do not like its presence in the water phase and it can get tricky to mix it in. Olivem 1000 and coconut oil – slow melt down. 4) When both phases (aloe vera with zinc oxide and olivem+coconut oil) are heated to 70°C (158 °F), slowly pour the oil phase to the water phase, while stirring continuously. When emulsion takes place, transfer the bowl into cold water and stir while cooling. You can use blender – I do not as I make relatively small quantities. 6) Transfer the deodorant cream into recipients. I selected a bottle with a pump – it is very practical – you pump only the amount that should be applied (the pump distributes small quantities) and you prevent bacterias getting in and prolong thus its shelf life. Apply daily in the morning! PS: Do you like my recipe? Did you already try something similar? What is your experience with natural deodorants? Feel free to answer in a comment below, I will be happy to read it! This entry was posted by evik on October 7, 2012 at 00:45, and is filed under deodorants. Follow any responses to this post through RSS 2.0.You can leave a response or trackback from your own site. This looks really interesting, especially since it works also for men. May I ask you where do you buy your Zinc Oxide? I have a local source that guarantees the good particle size (micronized, but not nanoparticles) – in Slovakia – it depends where you are located. I was also ordering at aroma-zone.com, but this is a french site. Normally you should be able to find it in specialized online shops with cosmetic/soap ingredients, for example gracefruit.com, or I know it is selled on amazon.com. However, before purchasing, inform yourself on the particle size! Straight from Johnson and Johnson, their baby powders are (at least now they are, probably not in the past) made from :”The grade of talc used in cosmetics is of high purity, comparable to that used for pharmaceutical applications, and is free from asbestos and asbestiform fibers. JOHNSON’S® baby powder is only mined from select deposits from certified locations, and milled to relatively large, non-respirable particle size.” They also make cornstarch baby powders. I LOVE the smell of the night time one, and I will be trying it in my next batch of home made deodorant! If my deodorant smells like that, it won’t ever have time to expire- I will reapply all day! Love the recipe too, I prefer a bar type, but will try incorporating some of your ingredients so to achieve a better result than my current recipe! am i missing the amount of ingredients to put in the doedorant in each phase of the recipe? 🙂 Or, do you guesstimate how much zinc, CO, aloe, etc to put in? thank you. Michelle, of course not, there is supposed to be a table! For some strange reason, it does not show, I have to check this, thanks for pointing this out! 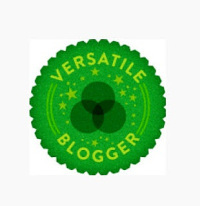 There might be actually much more recipes with this error on the blog… sorry for this! Do u find emulsifing wax crucial or can it be omitted out? Also, have if I use aloe Vera gel at home, does it work as well as juice, or what do I need to do, to make this work? Hi Tammy, well, for the aloe vera juice vs gel question, if you use gel, I suggest to dissolve it it water , otherwise it wilk be too thick. Make 50% solution. For the emulsifying wax, yes, it is necessary, as you are mixing oils with water, which do not mix normally. You need to make an emulsion, cream, with the help of emulsifier. There is a way to do the deodorant with zinc oxide but in a stick bar instead a cream? We can substitute a baking soda or cornstarch by zinc oxide? Thank you!!!! I am actually thinking about how to make it in a stick, but I do not think it is a good idea, as you need 15% of zinc it in the recipe, but it would make the stick too powdery. A stick has to be rubbed quite hard onto the skin to apply it, which can be uncomfortable. This is also a problem of stick deodorants with baking powder – at least for me. Cornstarch or baking soda won’t do the same job, as zinc oxide is the most important ingredient. As a matter of fact, you can use it simply as a powder and it will work. It is much more efficient than baking soda. Cornstarch works only as absorber of the sweat, but does not eliminate that much the odor. This recipe is wonderful! I did it a few weeks ago and I am amazed, it really works! I just changed the ingredients a little, instead of aloe vera juice I used sage infusion and as fragance and antiseptuc I added rosemary essential oil. Thanks a million Evik for sharing this recipe! Hi Silvia, I am happy you enjoy it. I have been using it for 2 years already and did not have a reason to change! This looks fascinating. I have been working on a variation (still on paper) like this, but trying to make it into a stick instead of a cream. I have some Olive-Wax that I was thinking about adding and/or stearic acid to make it a solid bar. Have you tried any variations like that? hi evik just want to know does this cause the underarm dark bec.the homemade deodorant that im using is making my underam darker and its only baking soada, arrowroot , coconut oit and teatree for fragrance. Hi Mary, no worries, this one does not cause underarm dark, I can guarantee that from my personal experience (have been using it for 2 years now)…. thank you Evik for your response…im going to try and make it today. hi Evik thank you so much …I love your recipe for deodorant better than the other homemade that I was using before and it doesn’t irritated my skin .and im using sugar scrub for my underarm I think this will work.. Thank you so much for sharing this recipe and for such detailed instructions. I made it today, and had a beautiful emulsion going…until I added the Optiphen Plus. My lotion at that point kind of curdled. I ended up adding a little too much EO I guess because then my lotion sort of separated. At that point I added a teaspoon of Dry Flo (modified tapioca starch) and another teaspoon of zinc oxide. I hope I didn’t ruin it, especially its effectiveness! It’s pretty thick now, but I’m okay with that, I’d prefer that over the kind of sloppy weird mess I had on my hands before adding the extra additions. Would the Optiphen Plus behave differently than Opitiphen, do you think? Or did I do something wrong? I added it when the lotion got below 50 degrees C.
Hi Megan, it can, but I never tried the other one. Optiphen likes to separate if you add it in emulsion that is already too cold. Try to add it at 50°C next time! Is it possible to make this with 40% zinc oxide??? Sorry if it seems like a stupid question I know next to nothing about soapmaking and creams I have had BO issues for years though and found that zinc oxide seems to help. Hi Jagtar, I believe 40% might be too much. 30% is so so, can get difficult to apply and be too dry. You can, however, use zinc oxide only as a powder, that works pretty well, too! I found a ZnO with avarage particle size of 0.12 micron, which is 120 nm. Is it ok or still considered nano-particle? Great! Thank you! I’ll try this recipe, since the baking soda deodorant causes me bright red irritations! Thanks so much for sharing. I’ve been making my own deodorant for a little while now and its fine for me but my husband is super sensitive to the baking soda. I also make a sun block with Zinc oxide as the sun blocking agent so now I’m going to try replacing the baking soda with ZnO for my husband and see if that works. I’m excited to be able to make a deodorant that will work for the guys as well as the gals. I am answering quite late and I apologize for that. How did the deo work for your husband? After following all the steps and placing my final bowl into cold water, whisking (with a fork) the mixture inside, it thickened into a beautiful fluffy, silken texture of double cream. However, after I stirred my citrus essential oils into the thick, cooling cream, the mixture didn’t seem to combine properly – the texture, although still very thick, became less aerated and fluffy-looking – think of the texture of condensed soup that you get in a can! Do you know what might have happened / how I can fix it next time so that it combines better? I did double up the quantities of everything, and I also added 3 extra drops of essential oil to the 20 I used. Also, any tips on what I can do to get a thinner, lotion-type consistency next time? 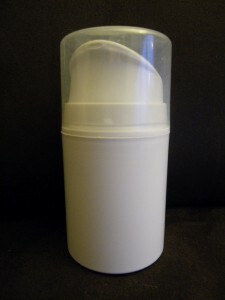 At the moment I have it in one of the pump bottles you recommended, but I’d quite like to be able to put some in a roller bottle as a gift to my sister (she only ever uses roll-on deodorants, and i think the stuff I made would be too thick for a roller bottle). Such a shame, I really hoped and thought this would work for me! Do you know of any ways that I could tweak the recipe to make it extra effective? How would witch hazel work for example, instead of aloe vera for the water phase? I answer 2 years later, what a shame, my sincere apologies. I guess you already figured out what to do with your deo so that it works for you, but I reply anyway. I would definitely add more zinc oxide, up to 30% of the recipe. Also, if you want,you can only use zinc oxide powder as deodorant, that should also draw the extra moisture from under your arms. Citrus oils can thin emulsions — it depends on how much you added and possibly when. I do use them, but err on the side of not too much. There is a product called deodorant additive that is sold by Bramble Berry — it will actually work to prevent the smells associated with BO (it’s a yeast that eats up the bacteria as I understand it.) Might be worth adding to this. I love the zinc idea, but I want a bar type rather than lotion type. Use Ammens medicated powder instead. Thanks for the tip. Actually, you can use also zinc oxide only, except that the powder usually stains the clothing while applying. I do prefer the cream version. If you do not want to make cream version, just use a baby cream which contains zinc. Hi! 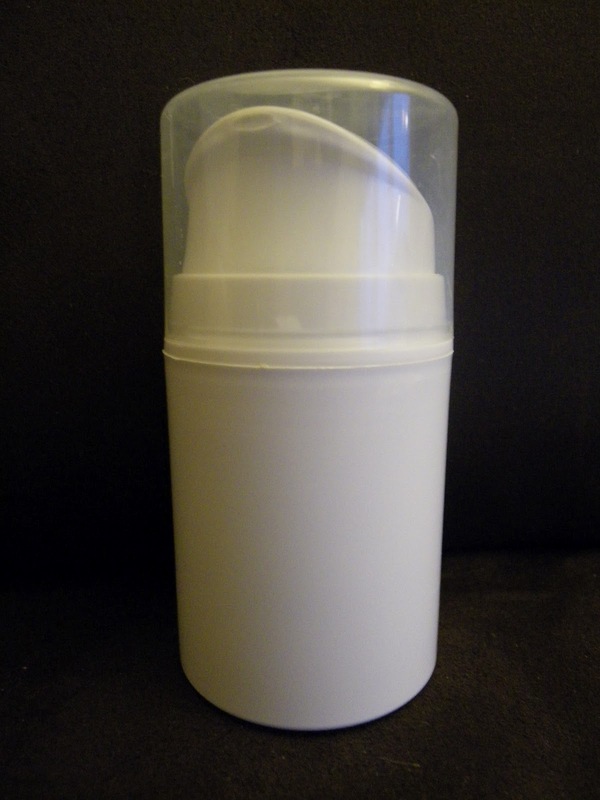 Have you learned about lavalin cream deodorant? It also uses zinc oxide, but claims to work for several days with one application. Could this work similarly with any tweaks? The active ingredients apart zinc oxide are potato starch and talc and, most interestingly, Triethyl Citrate. All these could be added, I would have to think about the percentages, though. Really excited to try making this, but one quick question tho. You said you used 30% Zinc oxide in this recipe. But the cream base is already 100%? actually, the recipe has only 15.5% of ZnO in it, sorry for the confusion, I just checked the recipe. Corrected it. The cream base is not 100% – the percentages are used only for ingredients to make it, I might have included ZnO in the percentage count, I believe it is confusing. will correct, thanks for the feedback! Hi Evik, this looks really interesting and I’m keen to try it. Just to be clear… could you tell me if the lotion is at 100% and then you add in zinc oxide afterwards at 30% of the lotions volume = 130%? Its unclear in your recipe and I know these details are important! I use this cream a lot, but also make a magnesium hydroxide deodorant stick (took some fiddling to get a stick that stayed soft enough). Was wondering about two experiments: making a zinc oxide deo stick using the wax base I like, and making this cream with a mix of magnesium hydroxide and kaolin clay instead of the zinc oxide. Any thoughts? » Natural cream deodorant that really works!